So, what was it? Genius? Or a cynical ploy to undermine the efforts of the 'lackey' driver to the end of helping the 'favoured son' win? Unless you've been up a mountain, or in a cupboard (and you are an F1 fan), then you'll know what I'm talking about. Suzuka, Red Bull and race strategy. That, after Mark Webber had led Sebastian Vettel for the first half of the Japanese Grand Prix, both albeit in Romain Grosjean's wake, the Red Bull team split their ticket. Webber was switched to a three-stop strategy; Vettel remained on a two-stopper. And in the end Vettel won. So, was there foul play? Well, the first thing to say is that, if we can park the whole Vettel and Webber and their respective statuses within the Red Bull team narrative, what we had in Suzuka was brilliant team strategy from the Milton Keynes squad. It effectively put a pincer on leader (and Red Bull's only rival) Grosjean, leaving him under attack on two fronts, and his Lotus team floundering on which to cover. It gave both Red Bulls clear air to exploit - on a track where passing is difficult and turbulent air in a car's wake punishing on the tyres - as well as resulted in Grosjean making his final stop earlier than he'd have liked, which in turn allowed both Red Bulls to pass him on fresher tyres during his extended final stint. 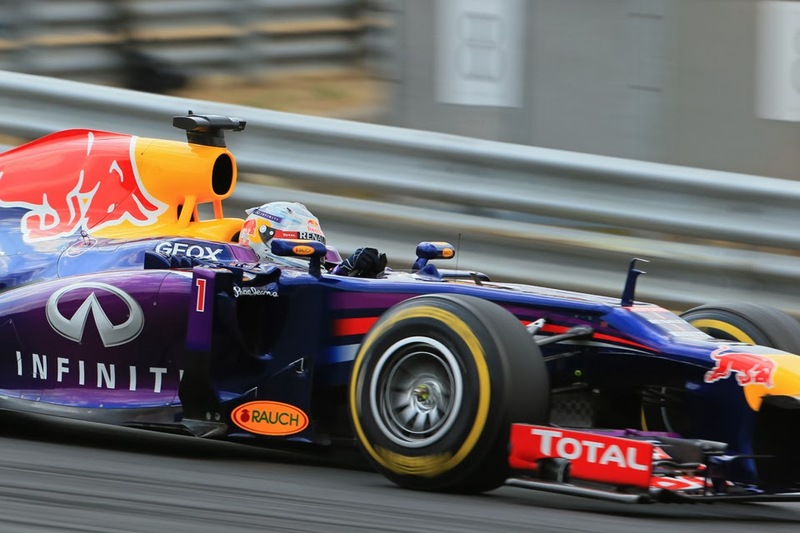 Thus a probable one-three, maybe even a two-three, was turned into a one-two for Red Bull. And selecting Webber to be the one with the extra stop is defensible too, in that he is the Red Bull driver who by common consent takes more out of his tyres, as well as was the leader of the two at the time so it made more sense for him to be the 'hare' as it were. So far, so good. But of course we can't just park what we know more widely, and forget what we've learnt from experience. More generally, and however it does or doesn't manifest itself, it doesn't feel too contentious to say that Vettel holds a place within the Red Bull team that Webber doesn't, and if nothing else Seb's chasing down a title while Webber isn't, plus Webber's leaving the team at the end of the year. It's perhaps inevitable that Red Bull's choices would be viewed through this prism pretty much no matter what. And further the strategy approach one way or another certainly opened up a particular path to victory for Seb that wasn't a clear one beforehand, and probably the whole approach assisted Vettel's race slightly more than it did Webber's (although sight should not be lost of the fact that Seb both in his pace including on older tyres and in passing Grosjean quickly later on took maximum advantage also). 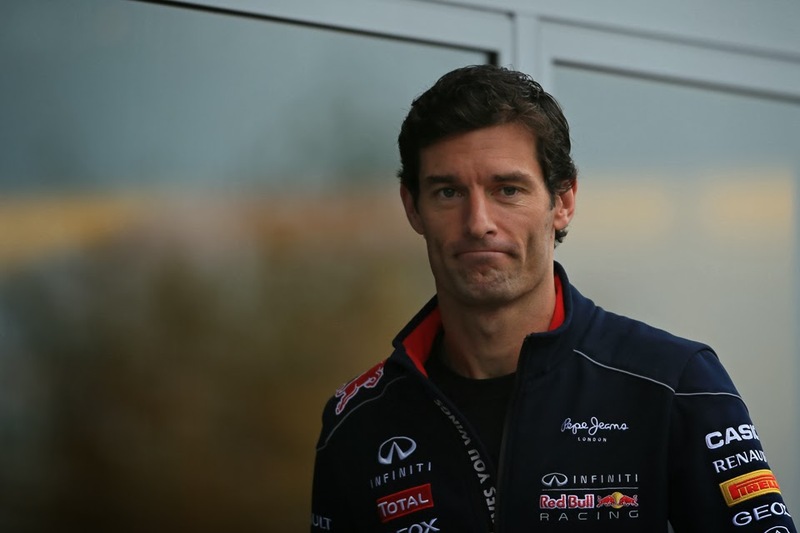 Where things get a bit more messy is that if there was a grand plan from Red Bull then Webber wasn't told about it seemingly until the last possible moment. Webber's first stop came early, on lap 11, according to Christian Horner due to his tyres blistering (there's some evidence of this in the lap times too - Webber losing four tenths to Grosjean on lap 10, another half second to him on his in-lap) and also according to Horner this to a large extent framed the three-stop strategy. A two-stopper - albeit quicker on paper - was always marginal in terms of tyre life (and Seb's conspicuous hanging back from Grosjean and Webber in the first half of the race also suggested tyre saving on his part). Lotus indeed thought the same and its Trackside Operations Director Alan Permane has confirmed that they concluded that the Bulls were splitting their strategy from the point that Seb did an opening stint three laps longer than Webber's. And yet even after his first stop Webber was told by his team that he remained on a two-stop strategy, and Webber's pronouncements after the race indicate that being called in early for his second stop at half distance and being switched to a three-stopper came as a big surprise and was relayed to him with little notice. At the very least, you'd assume had Webber known he'd be pitting earlier he'd have pushed harder than he did in that stint. Something doesn't quite add up here, and we can therefore forgive Webber's obvious bewilderment post hoc. So to return to our questions from the outset, we can say with certainty that yes it was genius: the strategy split had considerable merit in its own terms. But that doesn't necessarily negate the next part. Not entirely anyway. The key question that remains is just to what extent, if at all, the fact that it had potential to help Seb in particular sold the approach to Red Bull, as opposed to simply that it would give the team the best chance of a one-two? We don't know. And given that even if it were the former no Red Bull strategist is likely to spill the beans in the short term we're unlikely to know any time soon. In the meantime, we'll just be left to our speculating. I didn't mention it as it wasn't clear if it was Webber that Vettel was referring to. It was at least possible that he was referring to Sergio Perez when he said that. Perez had just pitted and was lapping quickly on new tyres in Vettel's vicinity at the time. Certainly Martin Brundle reckoned it was Perez that he was talking about. Read this. Vettel said 'Charlie (Whiting)', Rocky 'Blues (flag)' How on earth can that be interpreted as asking team order? i am 100% sure it was Webber he was referring to....how could his own team keep any other driver away from him???? There could have been any of a number of things that he was referring to. Most likely Vettel was referring to his target lap time set for him by the pit wall (important in races such as this where tyre management is important). But he could also have been referring to the blue flags situation, or even to someone from Red Bull going to speak to someone at McLaren (which is the sort of thing that happens occasionally). But this is a general problem with the radio snippets that we get on the world TV feed: they usually extract the words away from their context, thus there's often potential for them to be misconstrued.